In 2015, there were 4,571 DUI arrests in New Hampshire. Before 2016, a first-time DUI conviction in New Hampshire resulted in a six-month diving license suspension. That meant total life disruption for DUI offenders who had to find alternative transportation for their jobs, school, and daily activities like grocery shopping. 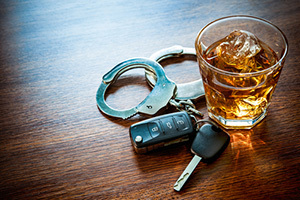 New Hampshire used to be one of a handful of states that did not allow first-time DUI offenders to petition for a restricted license that allowed individuals to drive under specific circumstances, like if someone needed to be able to drive to work. In 2013, House majority leader Stephen Shurtleff (D- Penacook) introduced a bill that would allow firs-time offenders to petition for a restricted or “Cinderella” license during their six-month license suspension. House Bill 0496, which went into effect in January 2016, allows first-time offenders to petition the court for a restricted license after serving 45 days of license suspension. The person must operate a motor vehicle as a requisite of the person’s occupation or employment. The person must operate a motor vehicle to seek employment or to get to and from a place of employment. The person must operate a motor vehicle to get to or from an alcohol or drug treatment or rehabilitation program. The person or a member of the person’s immediate family requires medical treatment on a regular basis and the person must operate a motor vehicle in order that the treatment may be obtained. The person must operate a motor vehicle to continue his or her education. The person must operate a motor vehicle to attend job training. The bill requires drivers with a restricted license to have an ignition interlock device installed that requires the driver to blow into a breathalyzer before starting the car to check the drivers blood alcohol content. Drivers approved for the licenses will be required to pay a $50 fee to the Division of Motor Vehicles, and will need to pay for the installment of ignition interlock devices (about $200) along with a monthly maintenance fee of about $80. First-time offenders will be required to keep and maintain payments for the ignition interlock devices for a full year after a drivers’ license is restored. Individuals with a previous DUI conviction are not eligible for the new restricted license.